“How… how do you know me?” Ruth asked the smiling Danite standing in Naomi’s house. “How do you know so much about what the Philistines think?” Ruth asked, noting Alron’s delicate hands. They had never known a day of labor. “I have frequent business with the Philistines. I am in and out of all of their cities. Why, I’m the largest buyer of their beautiful ceramic, my dear. Have you not seen their innovative two-tone designs? It is the latest trend in my tribe, and now I am selling to other tribes as well. I have actually brought one as a gift to your mother-in-law.” Alron gestured to the elegant wine pitcher on the table. It had an intricate black and red design on the ceramic that she had never seen before. Even from a few feet away she could appreciate the beauty of the pitcher. “You would marry me merely on a rumor?” Ruth asked, uncomfortable in Alron’s presence. His teeth were unnaturally bright. Ruth looked at Naomi, seeking guidance. Naomi shrugged her shoulders, not deciding herself how Ruth should proceed, though pleased by the young man’s attention. “Wonderful!” Alron clapped his hands. “Then with your permission, I shall take my leave and make arrangements for local accommodations. Farewell, Naomi. It was a great honor to meet you. Goodbye, Princess. I look forward to our future encounters and for you to get to know me better. A very pleasant night to you both.” Alron bowed to each woman with a flourish and exited the house. “He is certainly direct,” Naomi agreed. “There was something odd about him,” Ruth commented. Ruth sat at the table and looked at the pitcher in the candlelight. It was an intricately drawn work of art. It showed an army of Philistines with their feathered helmets riding their narrow boats, carrying long swords and round shields. They were killing their Egyptian enemies, their bodies hanging over the sides of the Philistine boats and drowning in the water. Ruth shuddered, picturing the horde of Philistines in the Ellah Valley she had seen in her vision. Suddenly, Alron’s marriage proposal seemed much more sinister to her. Ruth spent the next several weeks in utter confusion. She arose every day at dawn, to be greeted by a smiling Garto. Their walks to the field were always pleasant. No men thought of harassing her anymore. Even the errant wild dogs scampered away from Garto’s large bulk. The women of the town approached Ruth and engaged her in friendly conversation. Ruth enjoyed the procession of all the farmhands, of the farmers with their horses and oxen, of the shepherds and goat-herders with their teams of freshly shorn animals going to graze beyond the bronze fields of barley. As the barley was harvested, the wheat sprouted in green rows reflected by bright summer sun. At the field, with Garto’s helpful tips, she improved her gleaning skills. But throughout the day, Ruth sought Boaz, rarely seeing him. The few times he came, he stayed for a short time, typically just for the meal. He would sit on the other side of Ruth, eating little and saying less, consciously avoiding eye contact with her. Ruth didn’t understand Boaz at all. He looked pale and frail, as if some internal struggle were consuming him. What happened to the man that had risked his life to save her? What happened to her savior and protector who ensured she was well-fed? In the late afternoon, Garto walked her back home where she was met by elegant Alron. As the shadows lengthened, Alron would walk with her on the streets of Bethlehem, regaling her with tales of his business acumen and success, promising her riches and delights if she would join him. Alron told her how his father was the first Israelite to engage the Philistines in business and the thirst the tribes of Israel had for Philistine handiwork. “Have you decided yet, my dear?” Alron would ask. Ruth didn’t know why she didn’t say ‘no’ each time. She didn’t like Alron. He was an arrogant, self-centered aristocrat and his promises of wealth did not entice Ruth. But something told her that if she refused him too quickly, the repercussions would be disastrous. She felt she was buying time. “As you wish, my dear. But know that the harvest festival is fast approaching and my patience is running thin. Good night.” Alron excused himself in front of Naomi’s house, leaving a flustered Ruth behind. Ruth’s only respite was the Sabbath. Ruth loved the Sabbath. She loved how the people of Bethlehem gathered in the town square, opposite the gate, to listen to the reading of the Torah. Boaz walked to the assembly gingerly, embracing a scroll against his chest. It was one of the original scrolls written in the desert by the hand of Moses himself. Moses had written thirteen identical scrolls. He gave one to each tribe of Israel. The original copy remained with the Ark of the Tabernacle at Shilo. Caleb, Boaz’s uncle, mentor and the second Prince of the Tribe of Judah had received one of the scrolls. Before his death, Caleb had charged the scroll to Boaz. Over the years, many other scrolls had been copied from the one Boaz carried reverentially in his arms. Boaz also seemed more like himself when he read from the scroll. His confident stance, his easy comfort, his natural joy all showed themselves when he read with his melodic tune. That is my protector, my savior, Ruth thought to herself as Boaz stood in front of the residents of Bethlehem. A lot of what Boaz read was familiar to Ruth. Over the years of her marriage to Mahlon, he had shared many of the stories and concepts with her. Naomi, with her sharp memory and analytical mind had further added to her education. Ruth enjoyed the review of the stories and of God’s commandments and she also enjoyed discovering new ones she hadn’t heard before. Ruth sat next to Naomi, amidst a group of elderly women, most of whom had reestablished their friendship with Naomi. Ruth recognized a number of women from Boaz’s field and from her walks from Bethlehem and back. She smiled at them shyly, happy for the smile back or the warm greeting of ‘Sabbath peace’ they bestowed upon her. However, there were a number of men who refused to look at Naomi and certainly not at Ruth. Foremost amongst them was Ploni son of Nachshon, Naomi’s brother-in-law. He had not said a word to Naomi since her arrival. Other neighbors had followed Ploni’s lead in ostracizing Naomi for having brought the Moabite daughter of Eglon the Tyrant into their midst. Noami paid no attention to Ploni’s silent anger and chatted amicably with her friends as people found seats to hear the reading. 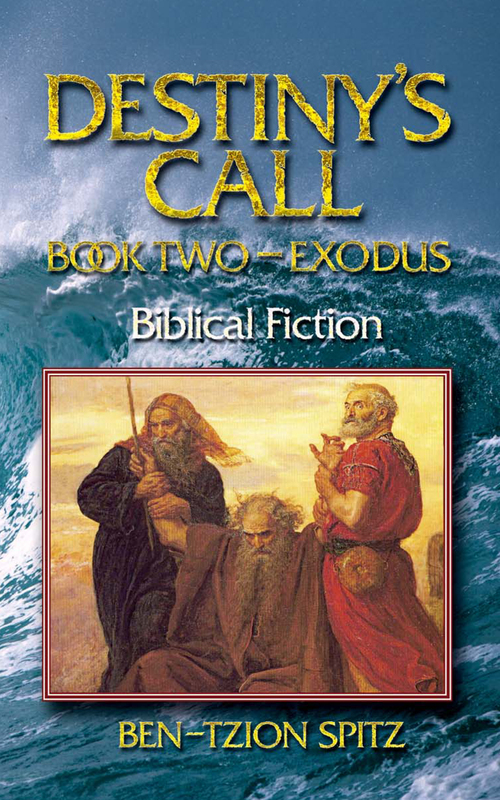 Boaz read from the book of Deuteronomy, the last of the Five Books of Moses, the only one written in the voice of Moses as opposed to dictated by God. He read about returning the ox of one’s enemy. He read about the sentence of a licentious woman. Then he read about those that Israelites cannot marry. Boaz paused suddenly, hesitating to utter the next words. A confused murmur arose from the crowd. Ploni smiled thinly. Ruth sat dumbfounded. She was prohibited from marrying an Israelite? Not Mahlon, nor Naomi, nor even wise Boaz had ever mentioned this to her. Ploni stood up and pointed his walking stick at Boaz. “You see?” Ploni bellowed. “It is right there. Ink upon parchment. By the hand of Moses himself. You sully yourself by reading these words from God yet bringing this heathen viper under your wings.” Ploni shifted his shaking stick towards Ruth. A murmur spread through the assembly. “Moabite” they said unkindly. Ruth looked at the crowd. Boaz’s head was bowed, in sadness or resignation. Garto looked around as well, discomfort on his face. Alron, standing in the back of the congregation, took a step away from the unhappy crowd. Ehud sat pensively beside Boaz. Naomi looked at Ploni with fury. “Listen to me. Listen to me!” Naomi called out amongst the growing anger of the people. The congregation as one turned to the squat grey-haired blacksmith. Ehud stood up and cleared his throat. 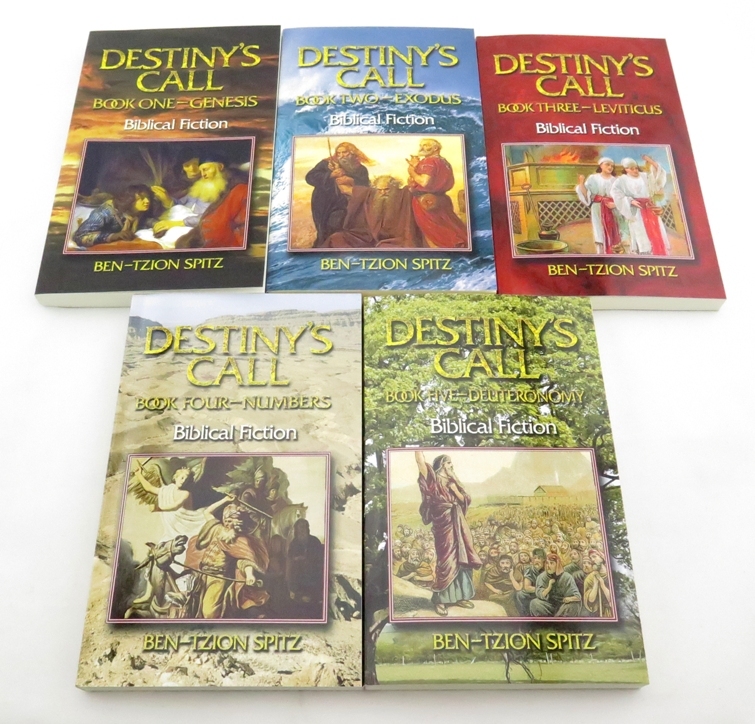 Boaz cleared his throat and continued reading. He read how Edomites and Egyptians could marry Israelites, but only after the third generation. Ruth stood up and excused herself from Naomi, leaving the assembly and heading to her house. Naomi stood up as well, cast an angry glance at Ploni and followed Ruth. “Ruth, my daughter. Wait,” Naomi called. “They hate me,” Ruth responded as she slowed down and allowed Naomi to catch up. “They are ignorant,” Naomi answered. “If you leave, I will follow you,” Naomi stated. Ruth looked at Alron and considered his generous offer. She looked at her mother-in-law, who was willing to leave the animosity of Bethlehem. “Ruth! Naomi!” Garto ran towards them, yelling and waving his arms. “What is the matter?” Ruth asked as he approached. “What happened? Is he hurt?” Ruth asked, her heart beating madly. Ruth ran back to the town square, thinking only of Boaz, the thought of leaving Bethlehem already forgotten. Boaz’s Torah reading is directly from Deuteronomy Chapter 23.